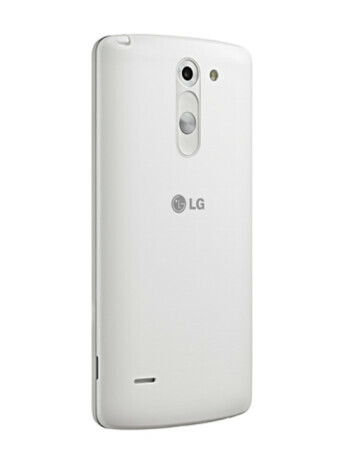 LG G3 Stylus is a lower priced version of its LG G3 flagship model. 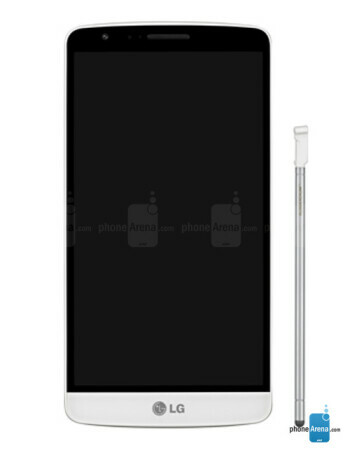 The screen size remains the same as on the LG G3, but with the Stylus, the resolution is 540 x 960 as opposed to the 1440 x 2560 on the flagship model. If you want to look at it another way, the LG G3 Stylus screen is qHD. A quad-core 1.3GHz GPU powers the Stylus, which includes 1GB of RAM and 8GB of native storage. A microSD slot allows you to add memory, and the back and front cameras weigh in at 13MP and 1.3MP respectively. Keeping the phone powered up is a 3000mAh battery. A stylus comes with the handset (hence its name), and Android 4.4.2 is pre-installed, out of the box. 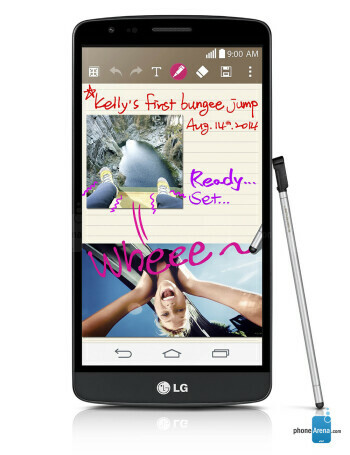 The LG G3 Stylus will have 3G connectivity and will be available in black, white and gold.